Wiggle your toes in comfort with our soft Calico Cat socks. 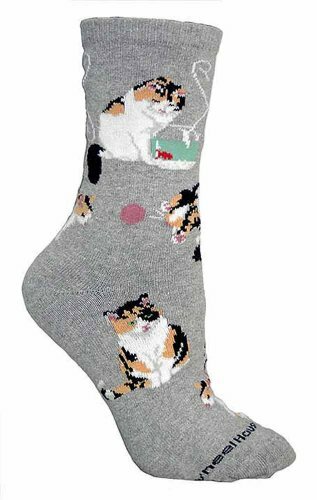 With a comfy blend of 75% acrylic and 25% stretch nylon, these Calico Cat socks will warm your feet and heart. Treat yourself and friends to animal socks with style, a great Calico Cat gift item. Ideal for everyday wear, the Calico socks are made to fit ladies size 9-11 or comparable sizes for men and children.